As a busy Mom and Grammy, I’m all about easy. I have a whole recipe box full of wonderful old fashioned cookies that have been passed down for years. 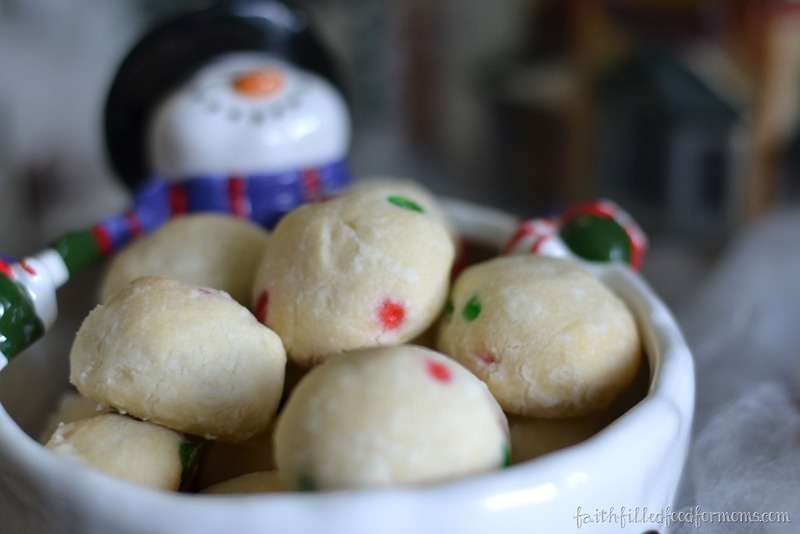 This Easy Snowball Cookies Recipe is one of them. 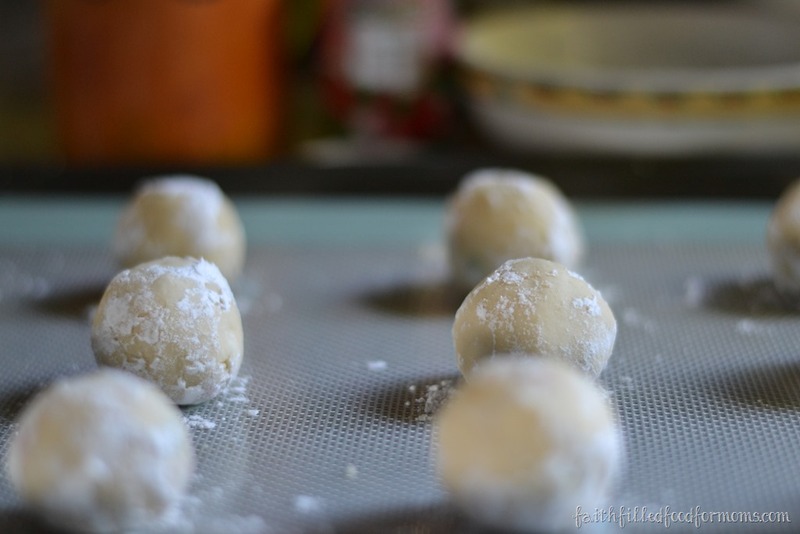 This simple Snowball Cookies recipe can be switched up in so many ways, so let your imagination go wild! 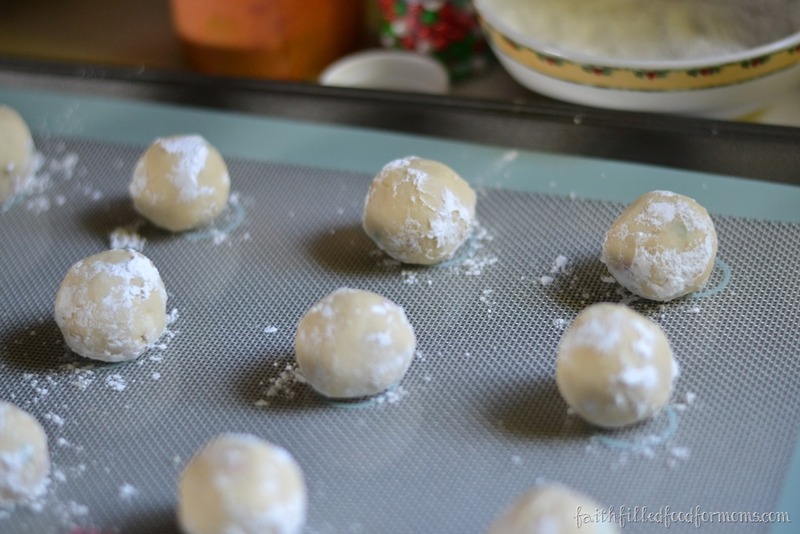 So if you are asked to participate in a cookie exchange or bake sale…and are pressed for time (not to mention money)…these Snowball Cookies are PERFECT! I was asked to bring some cookies to work the other day. I wanted NEEDED to keep things simple since Christmas can be such a hectic and expensive time year. 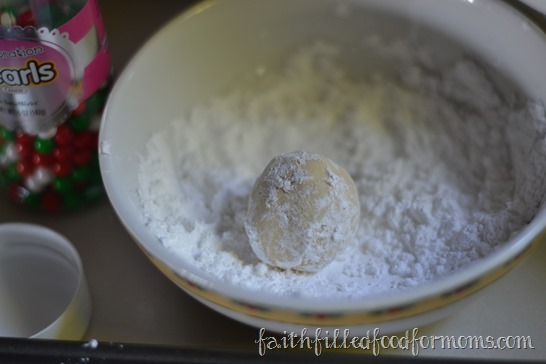 I have been making this recipe from my Grandmother and Mother like forever! Soo easy and so yummy. Make Snowballs 1 inch in diameter. 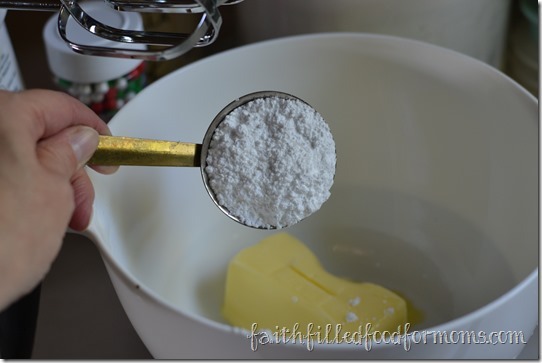 Using a Cookie Scoop is the easiest and quickest way to get these babies done. Lay them evenly onto a baking sheet ~ I am in LOVE with these Silicon Baking Mats! I hardly ever cook without them anymore! 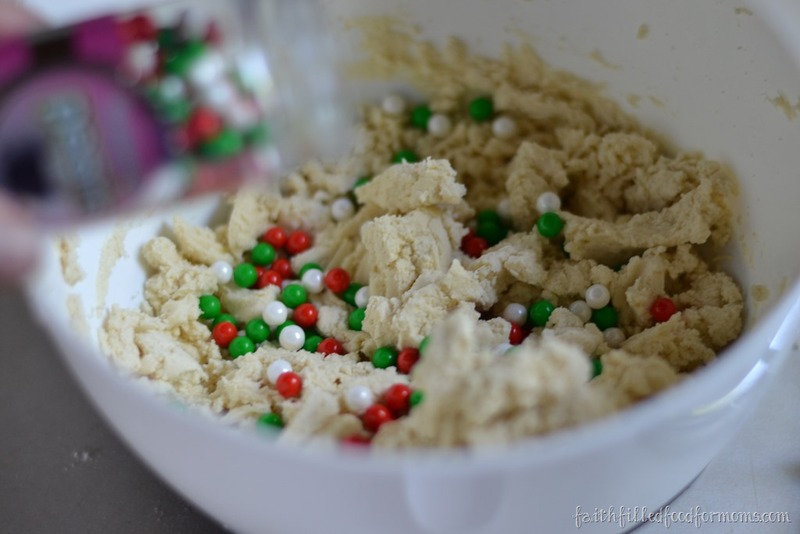 Now just bake in the oven for 10-12 min. They should very very lightly brown..or not even brown at all..depending on your oven. You can really jazz this Easy Snowball Cookies Recipe up any way that you would like. Use different extracts for different flavors, different candies, you can dip them in chocolate..we do all sorts of fun things with this recipe! What sounds good to YOU?! 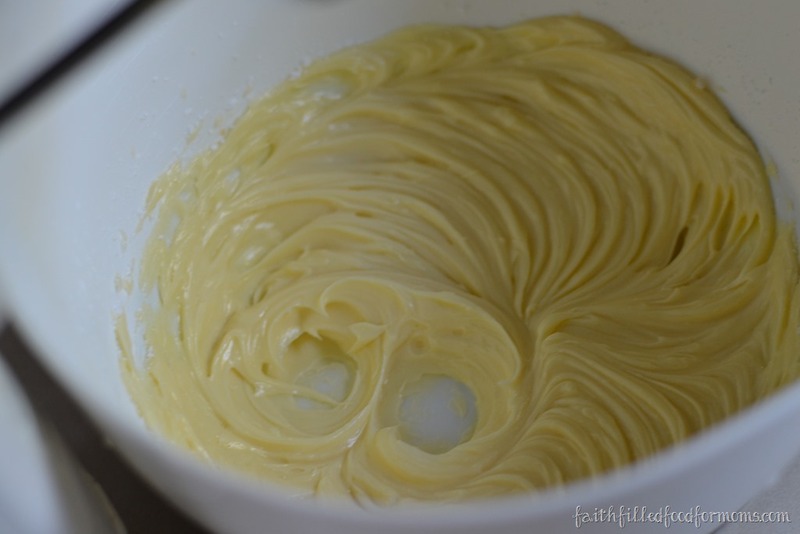 1 Tablespoon vanilla extract or you can use different flavors if you want! 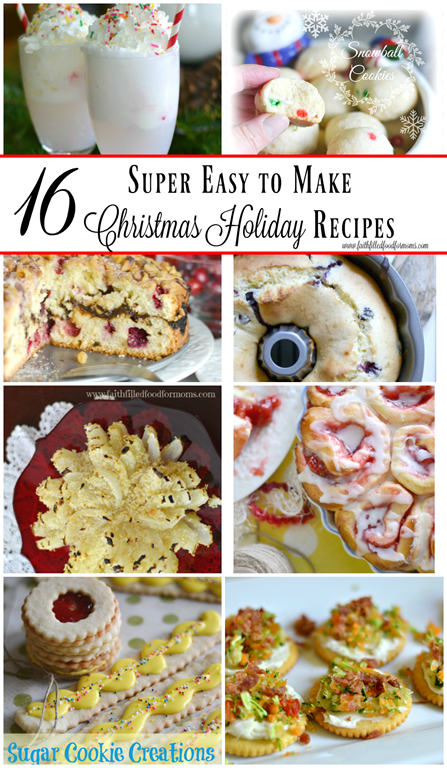 « FREE Resource of 100’s Christmas Goodies, Gifts and Printables! 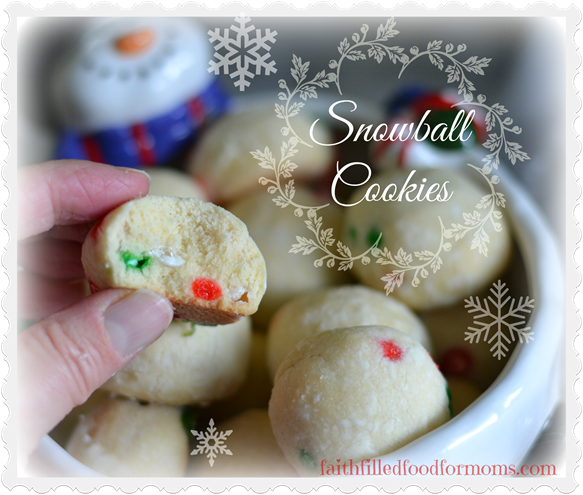 Love snow ball cookies!! Thanks for sharing at Simple Supper Tuesday. I will definitely try this. I am having so much fun baking! Thanks for the recipe. Wonderful recipe! 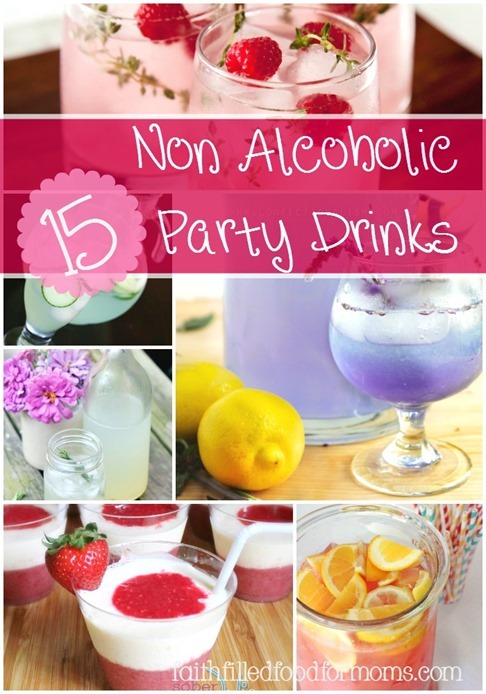 They look delicious; I would love to try these :-). I also wanted to take a moment to thank you for linking up with the Art of Home-Making Mondays each week. You are a blessing to us!